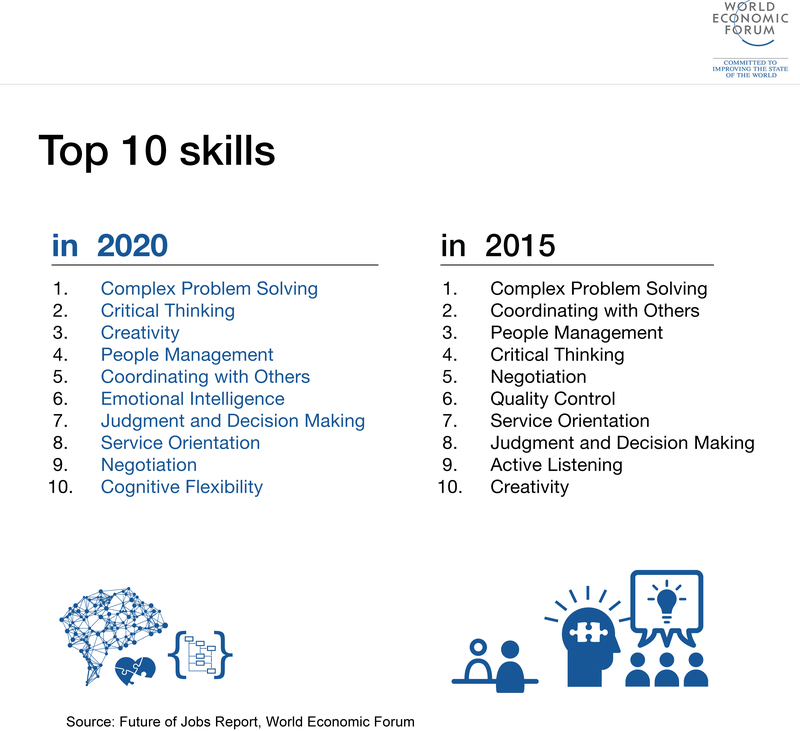 Whereas negotiation and flexibility are high on the list of skills for 2015, in 2020 they will begin to drop from the top 10 as machines, using masses of data, begin to make our decisions for us. A survey done by the World Economic Forum’s Global Agenda Council on the Future of Software and Society shows people expect artificial intelligence machines to be part of a company’s board of directors by 2026. Similarly, active listening, considered a core skill today, will disappear completely from the top 10. Emotional intelligence, which doesn’t feature in the top 10 today, will become one of the top skills needed by all. The nature of the change will depend very much on the industry itself. Global media and entertainment, for example, has already seen a great deal of change in the past five years. The financial services and investment sector, however, has yet to be radically transformed. Those working in sales and manufacturing will need new skills, such as technological literacy. Some advances are ahead of others. Mobile internet and cloud technology are already impacting the way we work. Artificial intelligence, 3D printing and advanced materials are still in their early stages of use, but the pace of change will be fast. Change won’t wait for us: business leaders, educators and governments all need to be proactive in up-skilling and retraining people so everyone can benefit from the Fourth Industrial Revolution.